Where does AI fit into hospitality? Won't artificial intelligence detract from the human interactions at hotels? What impact will AI have on hotel models? Where should I start if I decide to incorporate AI into my property? Who is currently using AI, and how? For the computer industry, artificial intelligence is hardly new, but it has been advancing over the years. The highlight came when IBM’s question-answering machine, Watson, was able to compete against previous Jeopardy game show winners and walk away victorious in 2010. But, while artificial intelligence clearly has a role in computing, it may be difficult to pinpoint the role that AI could play in a hospitality environment. This is where IBM and Hilton have joined forces. Often, when we think of artificial intelligence, we think of machines made of plastic and metal, robots that either belong in a Will Smith action movie, or a Disney feature film, or even robots like Connie in the video above. But the reality of today’s AI is often less about robotics, and more about analysis. As Avvio point out, it’s how we put that intelligence to use that is vital in furthering, rather than detracting from, human interactions and experiences in hospitality. 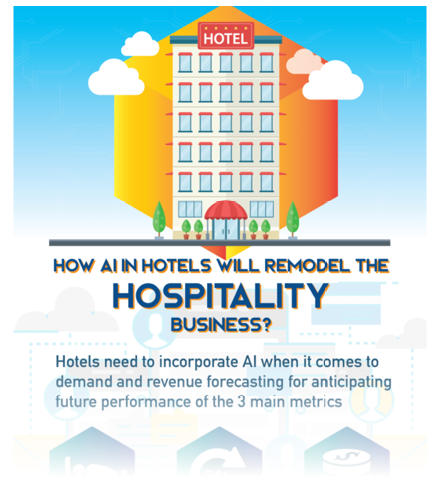 How can Artificial Intelligence in hotels remodel the hospitality business? 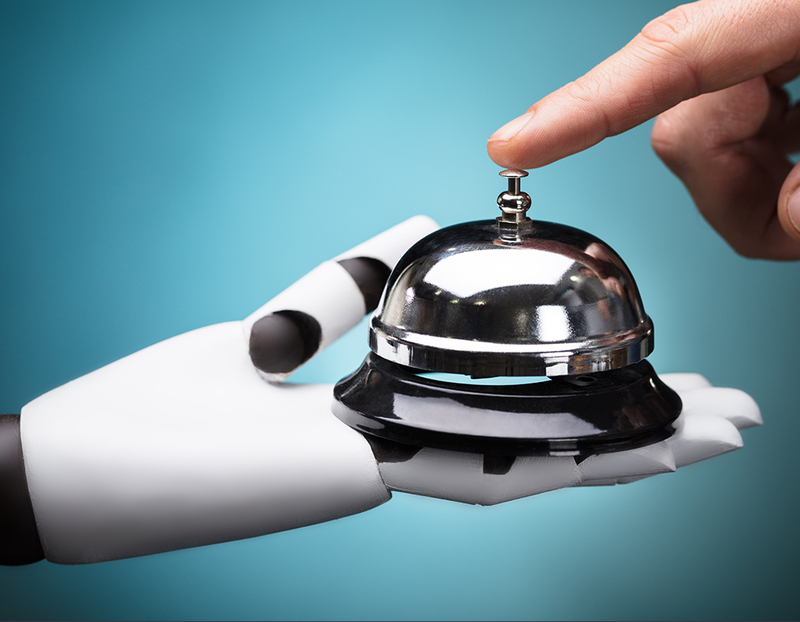 AI can enhance already existing customer service experiences, but its capabilities extend far beyond guest experience as well, with potential to help hospitality professionals to identify trends and make operational decisions based on AI recommendations. As Marutitech point out, it is this kind of potential that can see artificial intelligence reshaping the standard hotel model. The uses for artificial intelligence, even just when limiting it to uses within the hospitality industry, can seem endless, and it can be easy to become starry-eyed with the concept of all the AI can do for you, but have no idea where to start. This is where McKinsey & Company step in, suggesting five ideas that any property should keep in mind when implementing AI. Whether you’re looking to AI to provide a more human touch where it counts, are wanting to identify areas for improvement, or are simply trying to pinpoint the best place to start, knowing what is possible with AI, and seeing it in action are two entirely separate scenarios. Condé Nast Traveler look at properties that are implementing artificial intelligence effectively.